90% Silver US Coins at Melt! 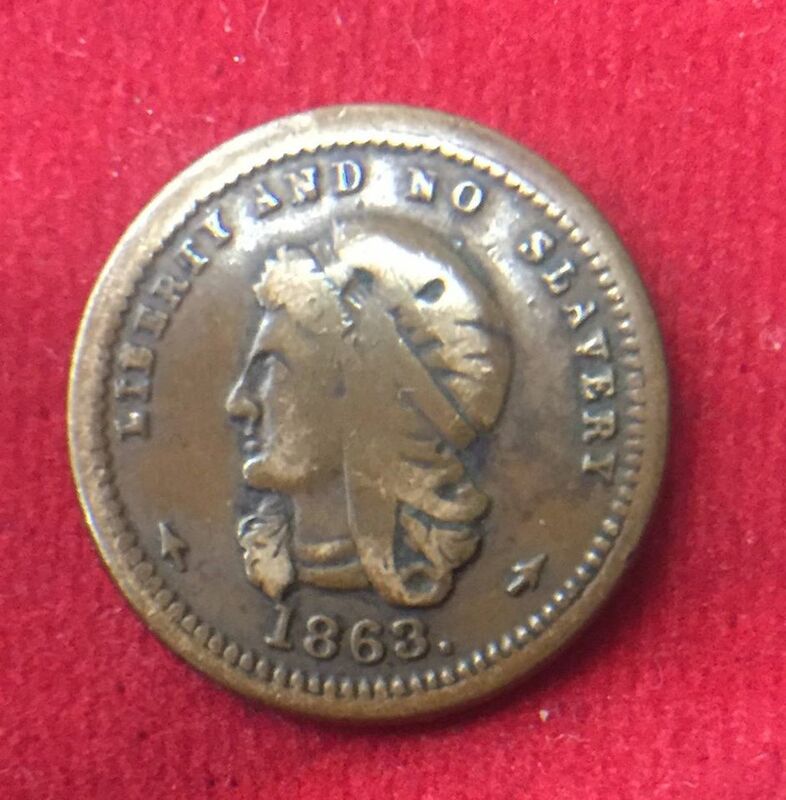 The private sector had a partial solution in creating tokens that were similar in size to pennies. Here is one interesting example. On the West Coast, miners had the ears of the legislators and paper money was not to be found from San Francisco to Alaska. Travelers headed East could trade their gold, silver, and copper for paper currency and often did at a better exchange rate than face value. Because of the daily use of copper, silver, and gold coins minted in San Francisco, S mint marked coins are often harder to find in uncirculated condition than those produced in Philadelphia. 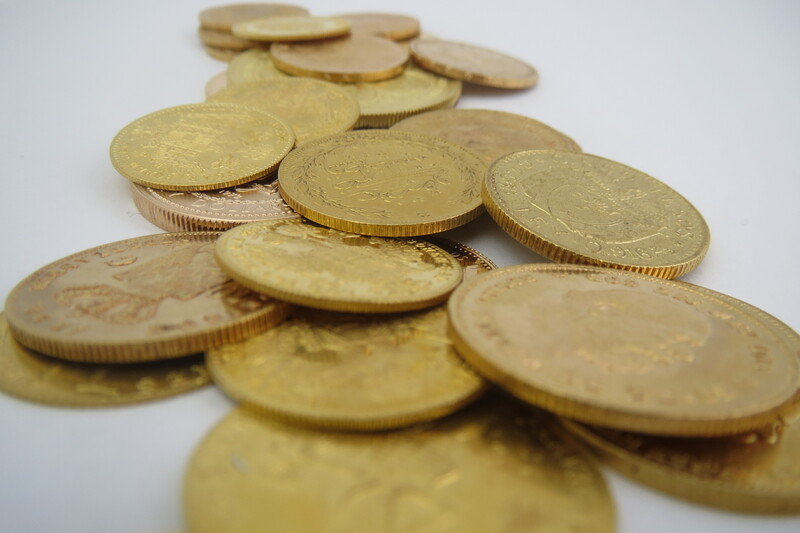 Gold continues to trade in a choppy manner within the range established early in the week. In light of some better than expected U.S. data this morning, the yellow metal is showing good resilience. U.S. retail sales rose 1.3% in April, well above expectations of +0.8%. Not surprisingly, we are already seeing some upward revisions to Q2 GDP forecasts. The preliminary read on consumer sentiment jumped to 95.8 in May, above expectations of 90.0, vs 89.0 in April. However, the stock market is less than impressed. The same is true of the bond market. The prospect for a rate hike late in the year, based on Fed funds futures, improved modestly. While the dollar did seem to like the news, as previously noted gold remains underpinned as is trading higher on the day. I think gold remains underpinned because investors remain skeptical about the recovery. Something doesn’t feel right and they are making the requisite portfolio adjustments to protect themselves. That is clearly reflected in the gold demand data released yesterday, which showed a 21% jump in Q1, the best first quarter on record. That of course led to the best Q1 price performance in three-decades. 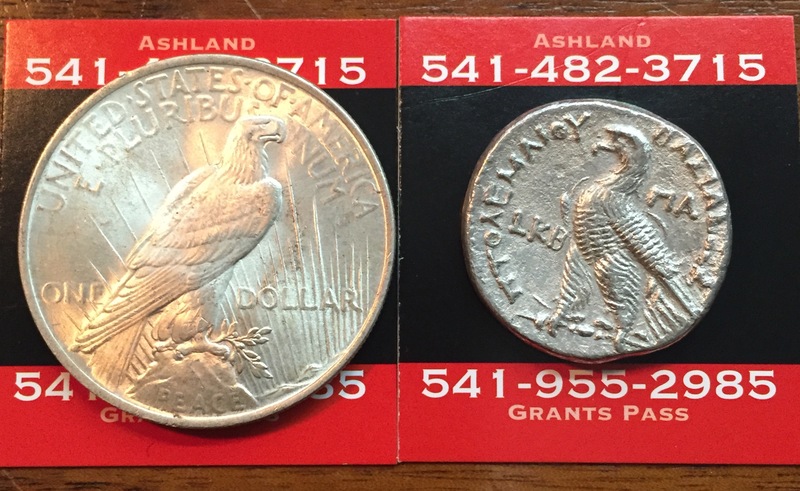 Reverse of 1922 Peace Dollar in Comparison to a Ptolemaic Tetradrachm over 2000 years old. Both coins were recently acquired by J. Austin & Company. The 1922 Peace dollar in Mint State is worth about $25 and the Silver Tetradrachm struck under Ptolemy VI 185-152 B.C. in Almost Uncirculated condition is worth about $750. Both coins were used for the same purpose of having a precious metal as currency.